Lone Peak in the background, yes we ran up that! This climb here is one of the steepest climbs near the end of the race! wow what a fun race! 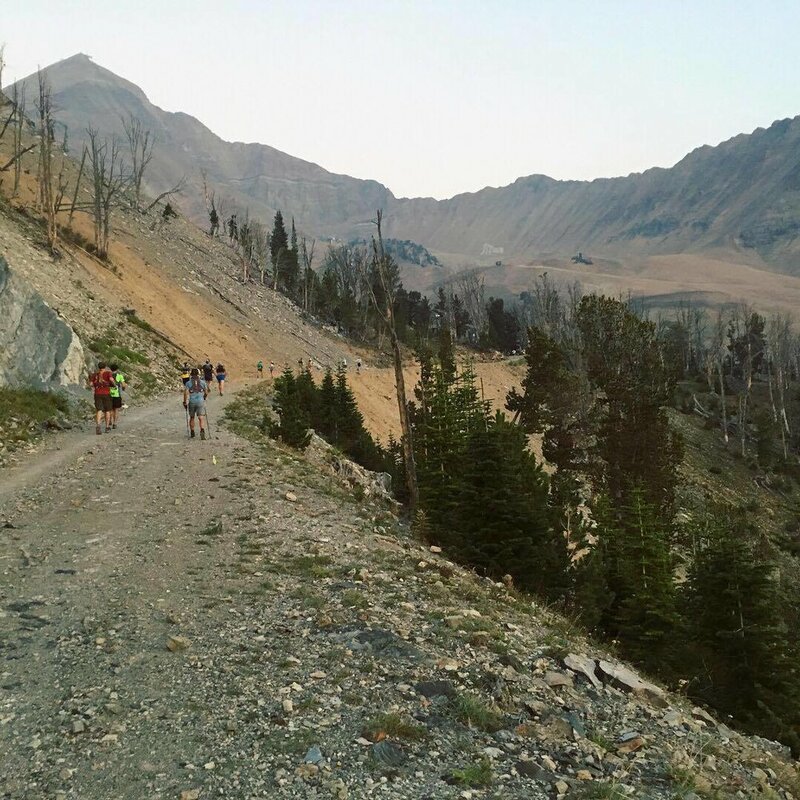 We had both never been to Big Sky Montana, nor had we run the RUT 50k before. It is a rare mountain ultra-trail-run because it is part of the sky-race world-series… which basically mean people fly in from all over the world to run it! 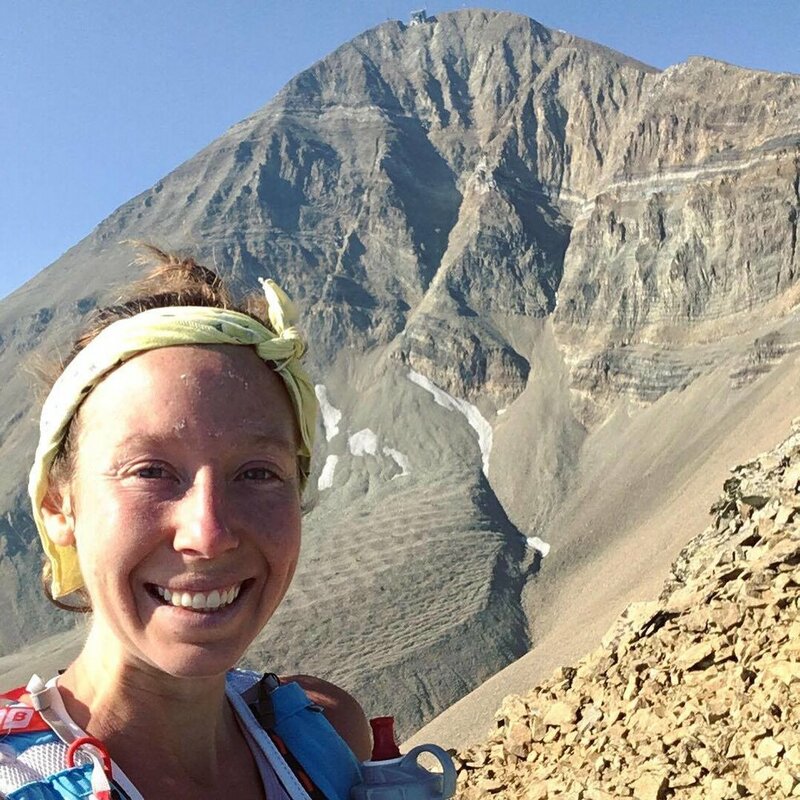 There are usually some really big names there like Kilian Jornet, Emelie Forsberg and on and on as the race continues to grow. It is a North Face event put on by Mike Foote and it was really so much fun with all the spectators and beautiful trails! We were not in the right condition to race this one, as I was just a day out from flying to Norway to run for 10 days with Emelie and Salomon Running TV.. I really wanted to save my legs and not get injured for that, but I also wanted to run the course. So I decided to run it but take it easy, use the poles and power hike all the up-hills. It has 11,000ft of climbing over 31 miles, which is a lot. 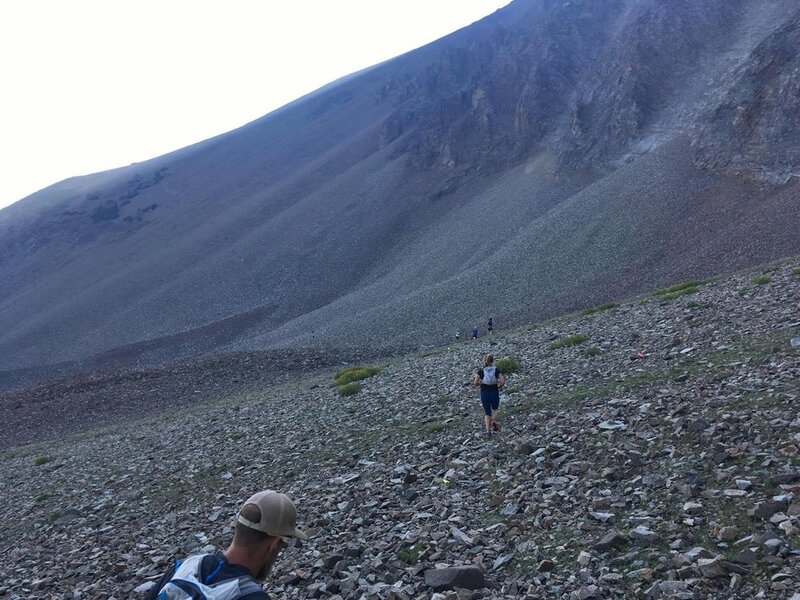 Much of the course is very run-able actually, except for the entire ridge sections, the rock fields and the steep steep stuff.. which the elite run ALL of, but for everyone else, just know that you will be hiking a lot. Go a day or two early and try to stay a day after to take part in the fun events that surround the event. Camping is not really an option right at the start, but we drove 15 mins out and found a spot to pitch the tent along the side of the road, just up a service road off the main highway. Here is our VIDEO we made of the run, Gwen had the Go-Pro and I had the iPhone so the video is from his perspective for once so that is cool! Oh and again about Nutrition, these Skout Backcountry bars are so good and are perfect for long-runs, adventures, races etc! We are happy to have found them, and think you guys should try one next time you can! UP NEXT, KATIES 1ST 100 MILER! click the photo to visit our Patreon Page! Support us on Patreon for exclusive content and good feelings! Click the image above to checkout the Free Nutrition Guide! Download our FREE Nutrition Guide to help you RUN BETTER!